For a child or young person who has domestic abuse in their family it can be a very upsetting and confusing time. At Women’s Aid we have children and young people support workers who can support you through this very difficult time. Please take some time to read through this page and it will help you understand more about domestic abuse and what Women’s Aid Orkney can do for the children and young people affected by it. If you are or have been affected by domestic abuse the most important thing to remember is IT’S NOT YOUR FAULT. How can domestic abuse affect Children and Young People? 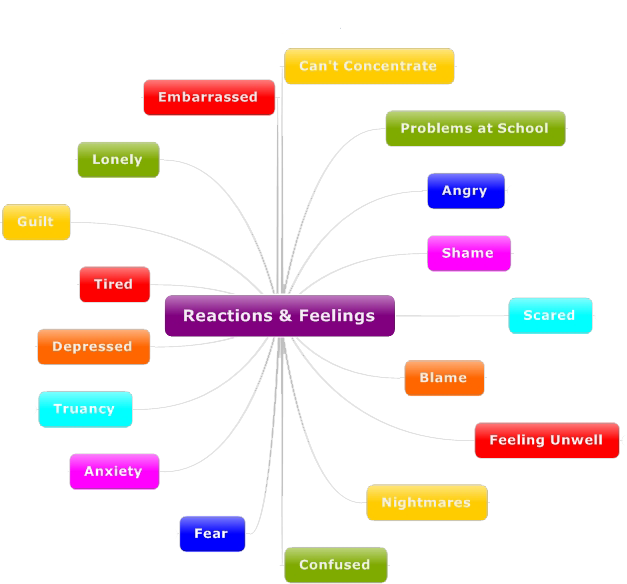 Everybody will have different feelings and different ways to cope with those feelings, there is no right or wrong way. You can speak to any of these organisations about what is going on and get more information. You don’t have to give them your name. The Hideout: a website purely for young people who are experiencing domestic abuse. 0800 and 0808 numbers are free from all landlines and most mobiles.